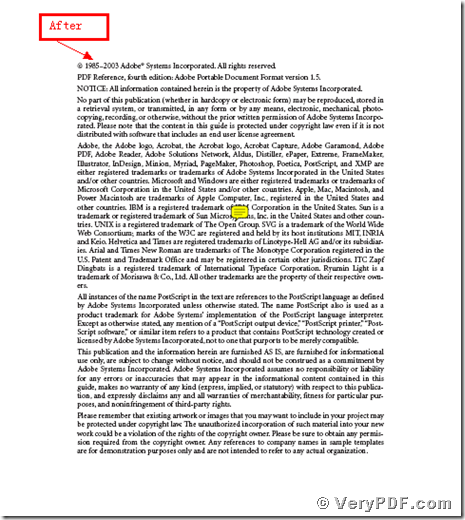 ← How to set the bit depth while converting html to tif? 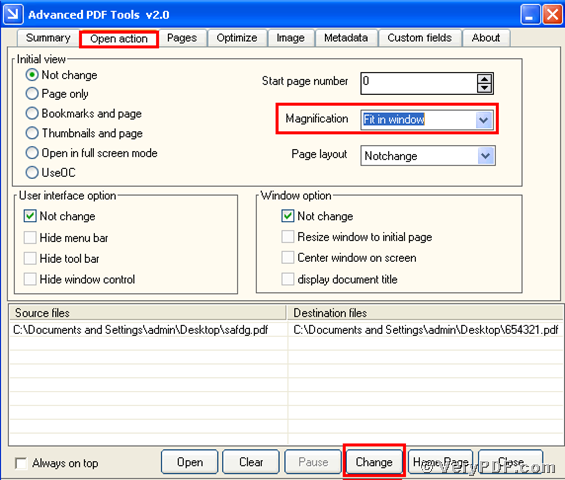 Today my topic is that how to make pages to fit in window of pdf reader by using the Advanced PDF Tools.If your pdf file cannot fully show in window of pdf reader,you ought to know how to make pages to fit in window of pdf reader.In this case,you have to use the software the Advanced PDF Tools.Because it will just take a little time to set the magnification.You do not need to search the method on the Internet.Therefore,if you have this kind of needs,please focus on my topic. 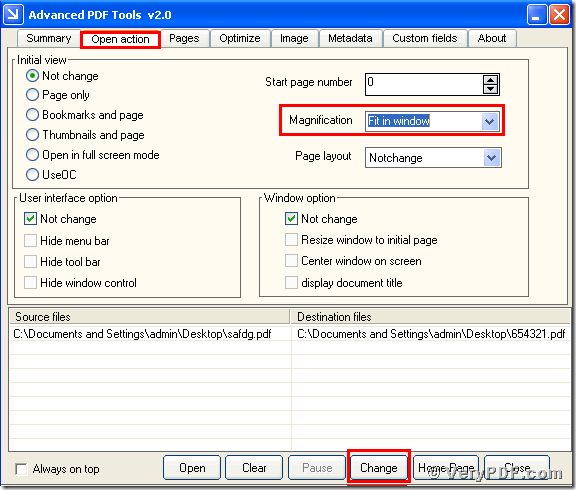 Firstly,double click the icon of the Advanced PDF Tools,and let this software run .Then drag your PDF file into this program.You will enter into the application interface.You can see the label pages like(Summary/Open actions/Optimize/Custom fields/About),please click the label page”Open action” ,there is a page ,in your right hand ,behind the “Initial view”.You can see the option boxes like (start page number/Magnification/Page layout) you need to find “Magnification”and choose the “fit in window”.Then save the change.Please look at picture 1. Secondly,please open the changed pdf file, you will find the change,we had made pages to fit in window of pdf reader by using the Advanced PDF Tools.I also offer you two pictures(picture 2 and picture 3) and compare to them, the difference is so clearly.You can see that before that we can not entirely read the paragraph. But right now after I had set the magnification,I can read the paragraph clearly and easily.Here please look at picture 2 and picture 3,it is very obvious. You see it is very easy to operate it,if you think it is useful and remember go to this website http://www.verypdf.com/order_pdftools_gui.html and purchase it,the price is very favorable.Meanwhile if you have any questions or doubts ,welcome to contact us,we will solve the problem on time.If you want to know more things about the Advanced PDF Tools ,please visit http://www.verypdf.com/wordpress/ to read more articles.